This capsule wardrobe posed some serious challenges for a capsule wardrobe newbee like myself BUT, much to my determination, I prevailed! And in the end even surprised myself in my ability to down size yet again! More on that in bit though. Let’s get to the good stuff, shall we? 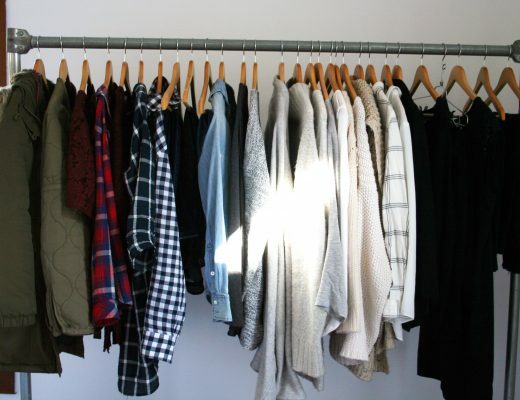 This section includes 14 tops + sweaters, 1 vest, 1 blazer and 2 jackets. Here’s where they came from: 8 were pulled from storage, 5 rolled over from my summer capsule, and 5 were new purchases. 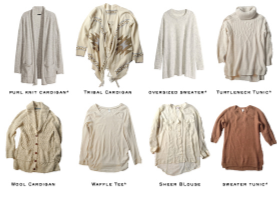 I know there are a lot of tribal cardigans. But, you guys… I really like tribal cardigans. Also, I think I’ve finally realized the value in dropping some cash on good quality jackets. My faux leather jackets from Forever 21 and I have had a decent run, but they are literally coming apart at the seams. We’ll see how they hold up this fall! Note: Not all items are still available, but I’ve linked to similar items or where it was originally purchased where appropriate. This section includes 3 pants, 1 leggings and 4 dresses. Here’s where they came from: 5 were pulled from storage, 1 rolled over from my summer capsule, and 2 were new purchases. As I mentioned in a previous blog post, for this season I had no intention to include coats as a part of my capsule. I stuck with that gut feeling. It’s not like I have a whole other capsule wardrobe dedicated to just coats, I practice minimalism there too, but — should winter come early — I WILL be warm! If you live in the midwest like me and experienced last winter (*shudder*) you will understand exactly where I’m coming from! On another note, I am in LOVE with the new maternity t-shirt dressed I purchased. They are comfy, extremely flattering to my growing bump and get the double thumbs up from my man. Need I say more? 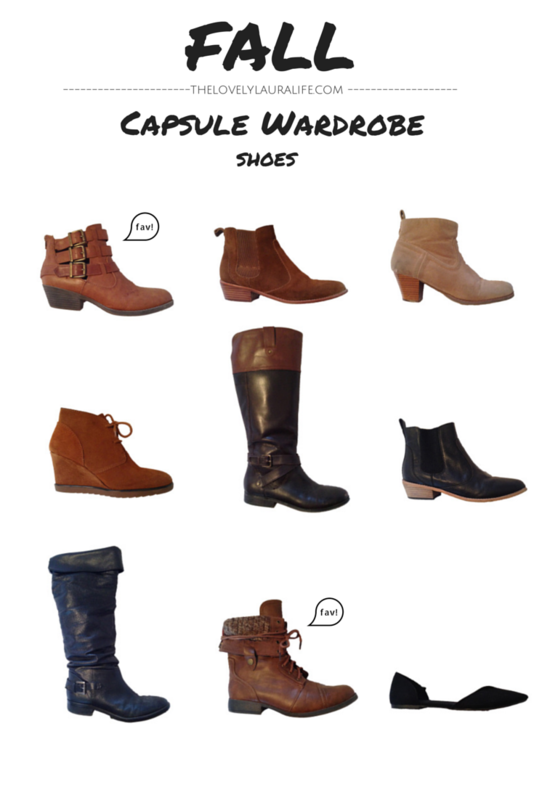 This section includes 4 ankle boots, 1 wedge, 2 knee high boots, 1 lace up boot and 1 flat. Here’s where they came from: 4 were pulled from storage and 5 were new purchases. I spent a large portion of my money on shoes for this capsule. My love affair for shoes aside, I think they are an excellent way to change up your outfits, express your style and a good way to invest money (that you’ll see even after you’re done being pregnant) into your closet when planning for a maternity wardrobe like me. 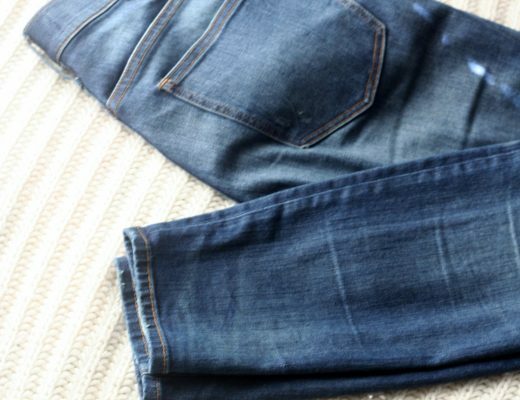 When I set out to create this capsule wardrobe my biggest challenge was going to be accommodating my growing belly. At 17 weeks, I haven’t seen significant growth yet (although I am starting to show!) but knew that over the next couple of months I would be seeing some serious expansion in my mid section. I thought it would be too difficult to try and plan for this ahead of time and that ultimately I would feel like didn’t have adequate pieces in my closet by limiting myself to a set number. I’ll let you know in a couple of months whether or not I truly succeeded, haha, but as of right now I’m extremely proud to say that I think I may have pulled it off! AND that I even decreased my overall number from my summer capsule wardrobe… Can I get a high five? As I began to ponder this predicament I realized that creating a maternity wardrobe in general is much like creating a capsule wardrobe. No one can afford to go out and by all new clothes to accommodate every stage of pregnancy, so you are forced to get strategic. By buying a few key staple maternity pieces and mixing them in with maternity friendly non-maternity clothes, most women are able to make it work. One thing I’ve always had a difficult time doing is labeling my style. It’s not that I’m against labels or anything, I just seriously have no idea how to describe it. A little bohemian? A little classic? Southwestern? Maybe some edge? Eclectic?! Yikes. This entire capsule wardrobe process has made me realize that you are never really one set style. Summer brings out my bohemian side more so than fall, which instead proves to me that I’m a little more classic than I think sometimes. So much like everything else in life, my style evolves and morphs not only over a long period of time — say since I was in high school — but even throughout the course of a year. My style for the fall is cabin going hipster + somewhat edgy mom + a little bit of classic. Taking into account my 5 month shopping hiatus which allowed me to save and figuring in birthday money, I decided on a budget of $400 for my fall capsule. Eeek. That’s a lot, right? 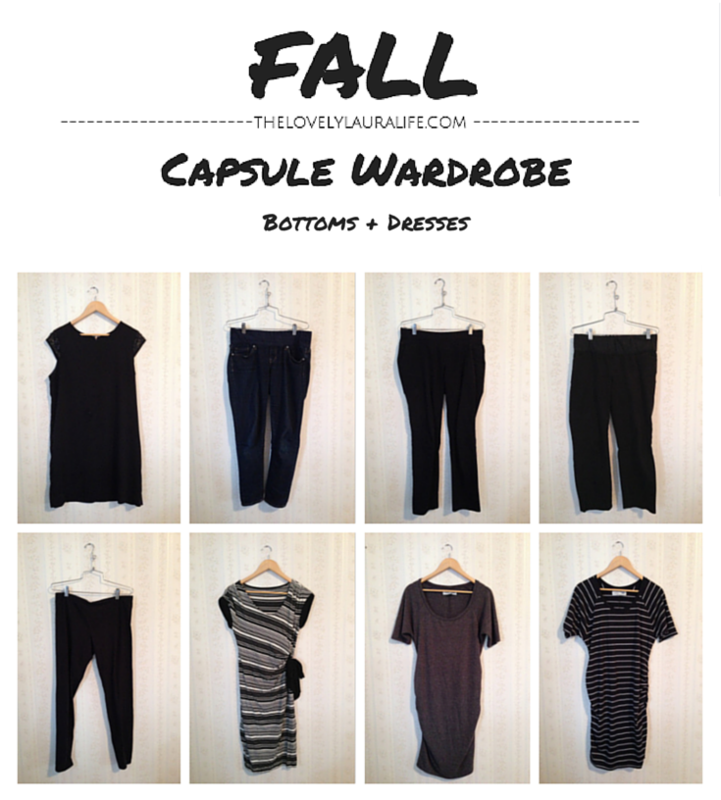 I decided to look at it this way: this capsule is going to last me for the next two months until I begin my winter capsule (remember I decided to change my seasonal timing so this capsule will be cut short…) + much of my fall capsule will roll over into my winter capsule. $400 / 7 (months) = $55.71/month —> much better! I ended up with 35 pieces in my fall wardrobe including 15 tops, 3 jackets, 8 bottoms and 9 pairs of shoes. I bought 12 new pieces for fall. (You can see which ones are new in the photos above – they have an asterisk next to them) Most of them were either from Old Navy/Gap + ASOS + online thrifting. I shopped strategically, using gift cards + hitting up sales + snooping discount codes. The remaining 23 pieces were either rolled over from my summer wardrobe or pulled from storage (as detailed above). My goal this time around is to show you more of the cool outfits I’ll be able to put together with these pieces with some actual outfit posts. Wish me luck!